As promised, this is the summary post comparing what I think about the recent pho I have consumed. So without further a due, on with the match. 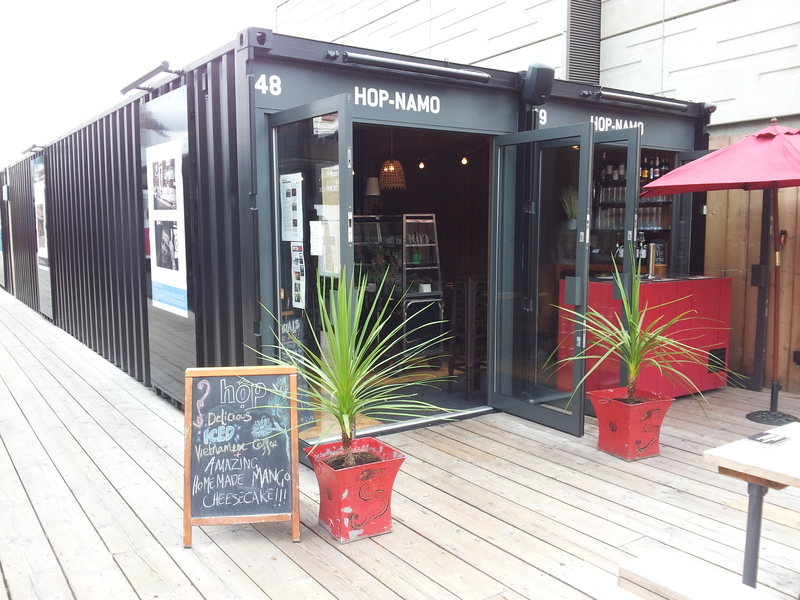 On the left, the Vietnamese food with a modern twist with complicated restaurant relations, hailing from Shoreditch Boxpark, Hop-Namo! 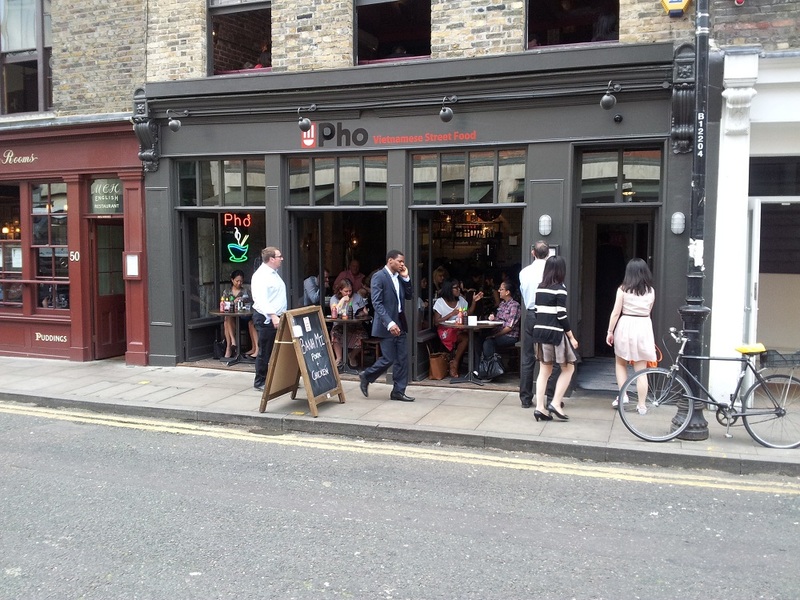 On the right, claiming to be London’s first Vietnamese street food restaurant, originally from Clerkenwell now with branches almost everywhere, Pho! On with the match! Ding Ding! So the noodles, soup, condiments, herbage etc from Hop-Namo were all placed into the same container. I guess from a convenience perspective, it straight forward. Open container and tuck in. But if the travel back to office is long, then it’s not ideal. The noodles and bean sprouts would have soaked up all the soup and will be mushy and soggy. Especially if like me, you like your soup piping hot. It will be impossible after a blast in the microwave. Pho took the trouble to package almost all of its pho’s components separately. This is especially handy if you take it home or the journey back to your office is long. But it is an effort to combine all the components together. So if you want convenience, Hop-Namo’s offering is ideal. But if you have a long journey or intend to save your pho for later, then Pho’s offering is the way to go. If you have read my post on the pho from Hop-Namo you would have remembered my astonishment when I found a bright yellow wedge of lemon when I open the pho container. That to me is a faux pas of the highest caliber! It should be lime and never lemon! If lime is unavailable, then one is better off without. Also, Hop-Namo’s version was missing the quinessential basil and mint with just some coriander included. Granted, they did add julienned carrot and daikon besides the expected bean sprouts. But the addition does not augment/enhance the broth’s taste like mint and basil can. In constrast, the herbs and condiments that came with the pho from Pho (try saying that ten times, fast!) was generous and of the right variety. Sprigs of mint, basil, coriander, bean sprouts, sliced onion, spring onion, sliced red bird eye chilies and yes, a lime wedge. The herbs as mentioned above were packed separately thus maintaining their freshness. Don’t underestimate the ability of the herbs, As you enjoy your pho, add the herbs gradually and the broth’s taste will alter as you go along. The clear winner for this round is Pho. Funny how much the 2 pho look alike when you put both pictures on the same post. But taste wise, they are worlds apart. The entry from Hop-Namo was way too salty, too peppery and lacking the anise and beefiness a pho broth should have. The beef brisket is sliced unevenly and thus some slices are tough and chewy. The beef balls are too peppery and even the attempt at grilling them did not help. The only saving grace is the wide gauge rice noodle they used. Not typical, but I like them. As for Pho’s version, it was what a classic pho should be. 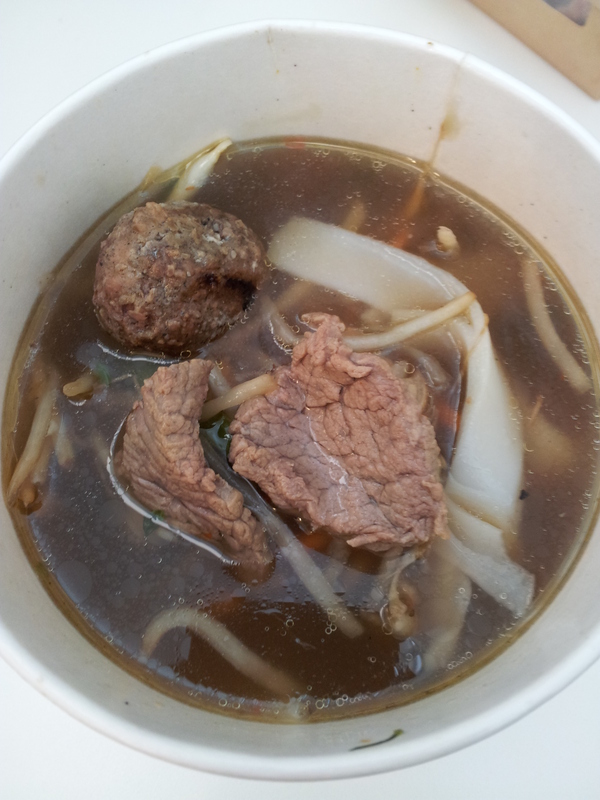 The broth has a right balance of beef and anise flavour yet subtle enough leaving room for you to customise the taste with herbs and sauces. The beef brisket was sliced evenly and the beef balls were nicely seasoned. Only complaint I have is with the thinner gauge rice noodles. They start to break apart making hard to handle with chopsticks. Remember they were packed separately from the broth, can’t image how the noodles will be if left to soak. I think the results is very clear, Pho win hands down. On hindsight, I should have selected contenders that are closer in caliber to make this a more worthwhile bout. Hope you enjoyed it nonetheless. 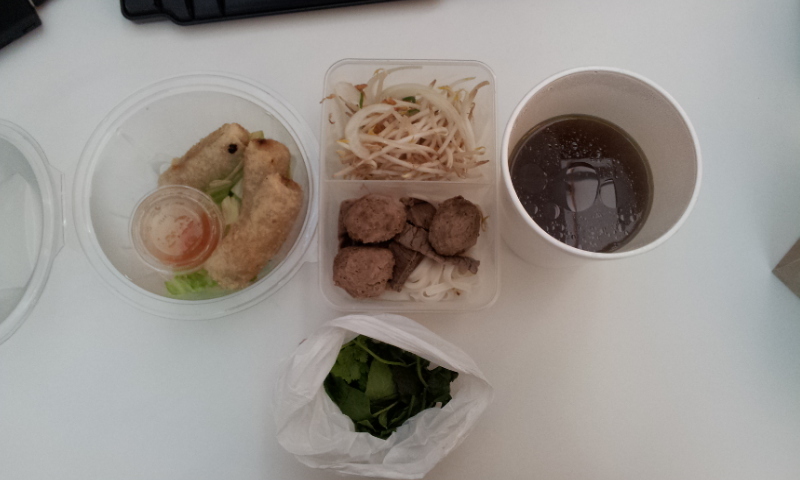 This entry was posted in Asian, Noodles, Soup, Takeaway, Vietnamese by junk4lunch. Bookmark the permalink. 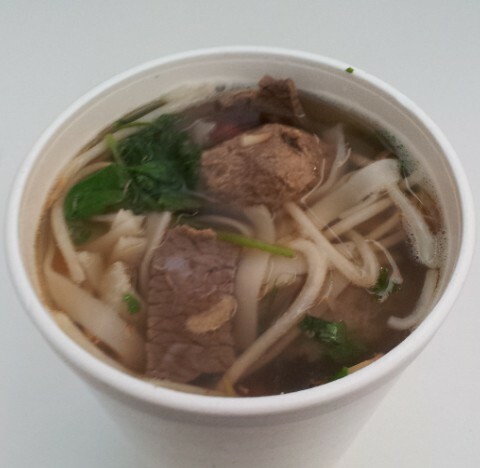 A fantastic review of your experience with Pho! 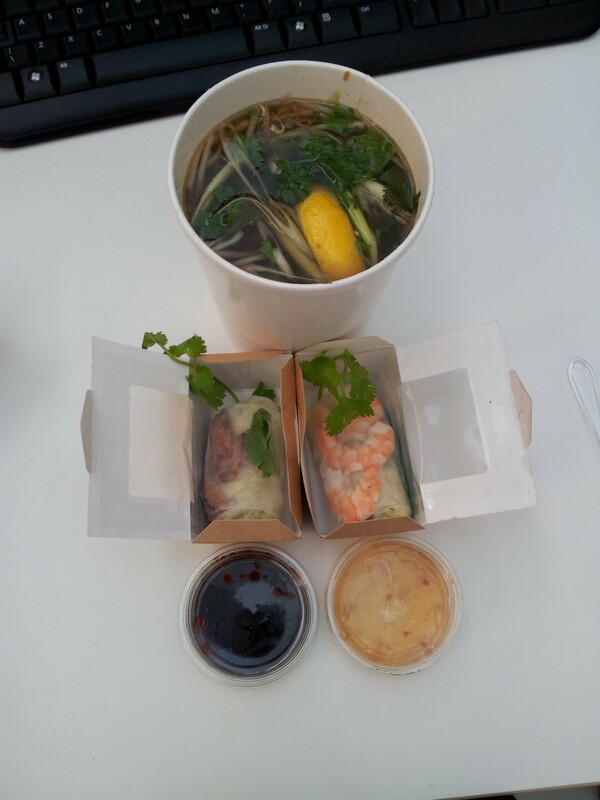 Pho (The Shop) in Spitalfields is great and I totally agree with your review although I have only eaten in. Keep the reviews coming please as my office must be close to yours and having just read your review onThe Dosa lunch… I have that place on my list of places to eat at! Thanks Paul! Yes, it would look like we work close by. I’m always on the lookout for somewhere new to try, if you know of any I should, do let me know. Cheers!